FINANCIAL institutions and other stakeholders should lead the way in finding solutions to micro, small and medium enterprises (MSMEs) financing and help to mitigate lending risks to ensure that entrepreneurship continues to thrive, says Commerce, Trade and Industry Minister Margaret Mwanakatwe. Ms Mwanakatwe said that small medium enterprises generated more employment for limited capital investment which served as a ‘seed bed’ for the development of entrepreneurship talent and also supplied the lower income groups with cheaper goods and services. 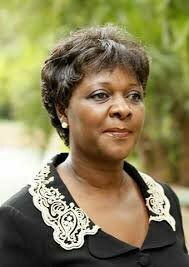 The minister said this on Monday, in Lusaka in a speech read for her by permanent secretary Kayula Siame at a dinner and cocktail hosted by the African Guarantee Fund (AGF) whose theme was “ “Ways on how Government, financial institutions and other players can work together to further propel African small and medium enterprises thrive”. She said that the development of the SMEs sector provided a strong foundation for reducing poverty and improving the standard of living of households through wealth and job creation. She noted that SMEs had continued to have difficulties in accessing money for growth and innovation due to their high profile risk for lending as well as lacking acceptable forms of collateral. “I am particularly delighted to note that the African Guarantee Fund is targeting SMEs in accessing finances for their businesses. “I wish to reiterate Government’s commitment to creating a conducive environment for businesses to thrive especially micro, small and medium enterprises (MSMEs),”said Ms Mwanakatwe And AGF chief executive officer Felix Bikpo affirmed that his organisation would work with Government to encourage entrepreneurship culture among the Zambian youths. Mr Bikpo said that over 2,000 SMEs in 35 countries in Africa had been reached out to which in turn created 24,000 new jobs and that about US$ 500,000 had been made available for SME financing through its 47 partner financial institutions and that the plan was to cover all 54 African countries by 2021. Meanwhile, AGF, board chairman Andrew Temu said that the ultimate aim by its shareholders was to enable SMEs have increased access to financing.